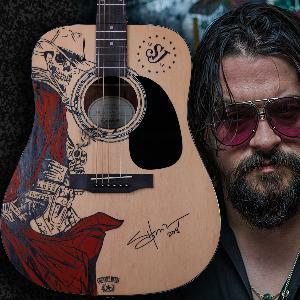 Prize: An Epiphone Acoustic Guitar Autographed by Shooter Jennings, Hand Painted, Laser-Engraved "Outlaw You" Design, Designed and Made by a USMC Veteran. Statistics: This contest was opened by 169 and entered by 19 ContestChest.com members. 11% of those who opened the contest, entered it.